On Saturday, you will tend to experience more worries, even if there is no real reason to do so. On the one hand, you will have a lot to do, and on the other, you will experience some fear or insecurity. Saturday will be a complicated day for travel due to various weather, transport, and other circumstances. This is a day of clearing unnecessary things in your life, whether you want to or not. Young men will have to solve a household problem in their home or with a private car. LOVE: This day will be good for an engagement ceremony or a wedding party. Use this favorable day to attend it with your mate, a family or a group of friends. Men over the age of 35 will be prone to surprise gestures. If you were born under the sign of Aries, Leo or Sagittarius, today your attention will be directed to people with whom you have to resolve some misunderstandings or problems. It is possible a visit that there will be a visit to your home in connection with an unpleasant conversation or conflict. News from a woman about an upcoming meeting with her will surprise you. If you were born under the sign of Taurus, Virgo or Capricorn, on Saturday you will experience different emotions related to people outside your home. You will consider your next week’s actions, which may involve money or documents. Immediate commitments can be made today with respect to your home or with your relatives. If you were born under the sign of Gemini, Libra or Aquarius, today you will be able to solve a problem and improve important relationships. There will be a tension related to a child or a young person, disagreement about his or your desires and plans. Expect interesting news related to someone in your circle of friends. 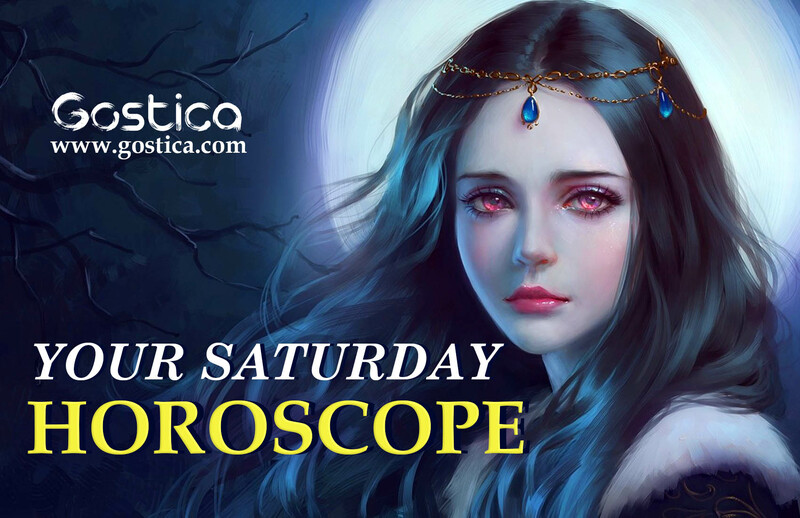 If you were born under the sign of Cancer, Scorpio or Pisces, on Saturday you will engage in various activities, mostly outside your home. Today you will look at the unpleasant experiences of the past week in a much more relaxed way. Probably your friends will try to engage your attention with their family problems. A positive day from different points of view, especially from an economic point of view. You will receive news that will make you waver a little, but afterwards you will discover its potential. You absolutely must accept an invitation to end the evening in style. Leave behind the previous drawbacks now that they are gone and have no reason to exist. Not even in your mind. If they have not taught you anything, but you have overcome it, there is no reason for you to remember them again and to indignant you. You will find many ideas that you like today. Try to select them according to your sensitivity. There will be some of them that you shouldn’t consider. The vastness of your possibilities could be a double-edged weapon and send you into slight confusion. For this you will have to make a selection of those, according to your experience, that may be more concrete and convenient. Friends first before anything else? Are you really convinced of this? On this day, you will have to deal with the reality and feelings of some people who you might have unintentionally hurt. It is certainly not easy to let people make decisions themselves, especially if you think they are wrong. You should definitely try to stay out of it, for their own sake, and take care of other things that affect you even more closely. You want others to see that you are not as unprovided they thought you were, but the people around you know it very well, so there is no point in pretending. Nobody likes false modesty. In short, you don’t have to pretend that something is right for you when you know very well that it bothers you and that you will never appreciate it. Better talk about it in order to find compromise. Prepare to receive someone you don’t know or don’t understand yet. Their personality may be complex, but that’s not what you need to focus on. If you have a purpose, you just have to talk about it as clearly and honestly as possible whatever the character of the listener. They will appreciate spontaneity. Try to take things lightly. A bit of openness towards your fellow man is a must. Hide a good and sensitive soul, but you don’t always have to build an armor for it. For once, try to show yourself for who you are, and later, if necessary, prepare your defenses!